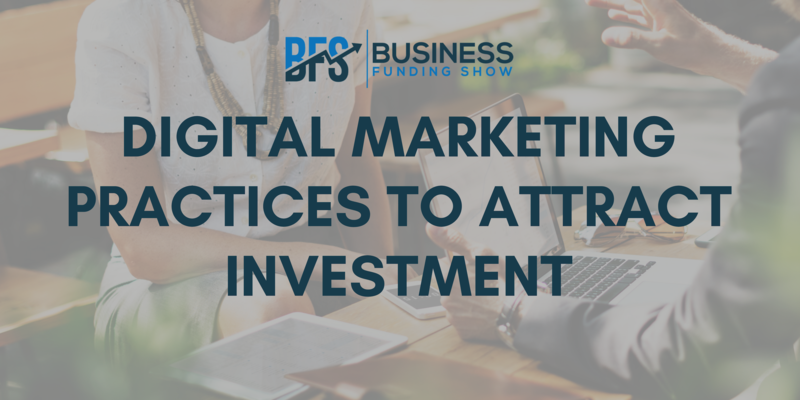 From our experience, we at the Business Funding Show can tell you that marketing plays a crucial role in enticing potential investors to your business. You need only to take into consideration the example of crowdfunding campaigns, to realise that the way you market yourself to your audience can mean the very difference between success and failure. Imagine how nice it would be if funders reached out to you instead of you having to chase after them… How do you achieve this? Possibly the most important platforms that a company can utilise are its website and social media pages. Here you can not only communicate your brand, ethos, passion and expertise, but also engage with your audience in a meaningful way. These channels are ultimately a showcase of your brand’s credibility. If you market yourself as a ‘top B2C company’ but your social media pages only show a few hundred followers or less, this is likely to be interpreted as contradictory, and might well dissuade investors. Conversely, the more followers you have, the more traction you can demonstrate to potential investors. Social media also provides companies with a unique opportunity to directly communicate with audiences, being a tool for both research and customer service. You can also collect and review metrics like conversion rates and page views, which can greatly help with making smart changes that will improve your site’s performance. Make your content fun, interactive and educational – this will keep your audience coming back for more. Research your audience for possible customers, but don’t be afraid to also connect with angel and VC investors on LinkedIn and Twitter – this is an excellent opportunity to get to know a little bit more about them. Make a note of topics they post about frequently, and find out if your values intertwine. If they see that you have strong social media profiles and exciting, interesting content, this will only work in your favour – and if it doesn’t immediately lead to investment, it is still likely to put you on the investor’s radar. Crowdfunding can present a great marketing opportunity for your brand, so make sure to advertise your crowdfunding campaign accordingly on all your platforms – this is often underutilised by entrepreneurs. A simple, shareable blog post, banner, or video about your campaign on your website can attract investors and customers alike. Once you have investors on board, they’ll often act as brand ambassadors, eager to tell others about you. There are many factors which entrepreneurs need to take into account when forging a meaningful digital presence: content creation, advertisement, social media, as well as more technical tools like SEO are of the utmost importance. Competition for investment in our modern market is fierce, and a coherent, well-planned digital marketing tactic can help your company get a much needed edge when catching the eye of a willing investor! If you would like to learn more about setting up your business for digital success, come down to our ‘Lunch with an Expert’ at 12pm on Thursday 11th of October, where our expert Warren Knight will give you tips on how to successfully sell more products and services through the strategic use of digital marketing! This is going to be an exclusive, intimate gathering of like-minded entrepreneurs – hurry, there are only a few tickets remaining! Click here for more info and to book tickets.